When everything you need for your home office is right at your fingertips, you can work smarter — not harder. 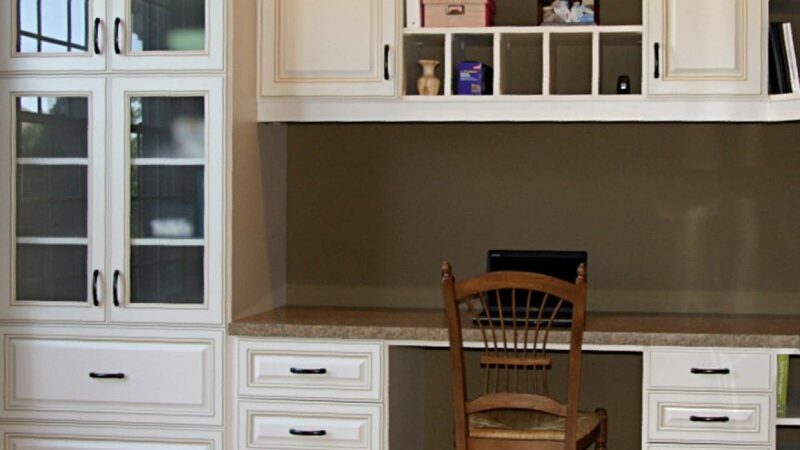 Glass doors on shelving add a touch of elegance to a home work space, but pull double duty as storage. We think of everything (that’s our job!). 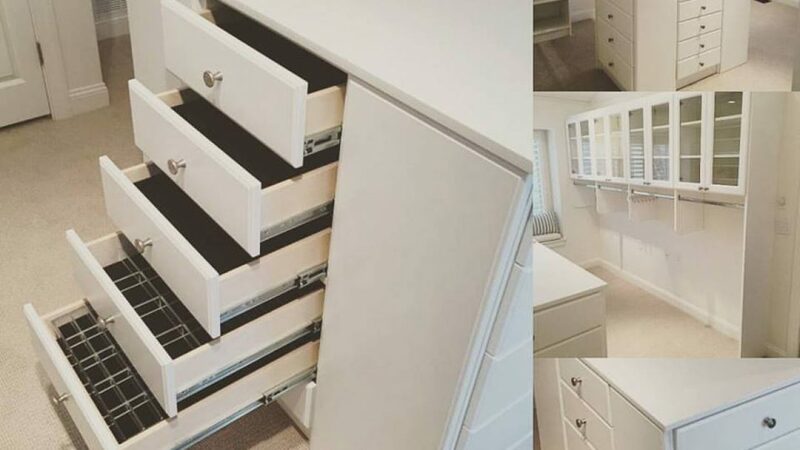 Installing custom cubbies in your closet? Think about adding accent lighting. 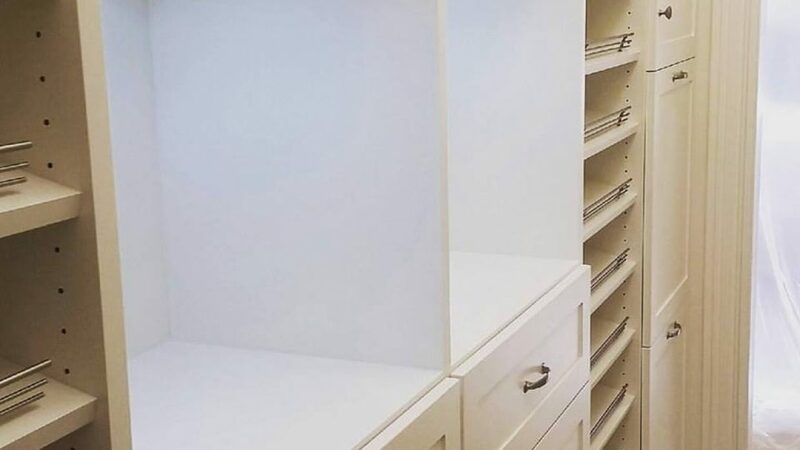 When you work with Chesapeake Closets, you get a custom solution — and we’re detail oriented! 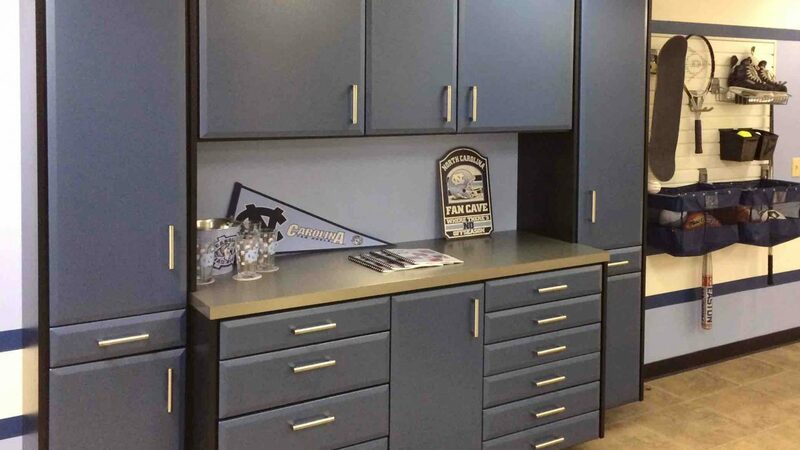 Whether you need jewelry display drawers or a closet island, we’ll tailor the design to your needs. Never go on a house-wide search for your tools again! This custom tool bench holds everything a car enthusiast needs.